We do not recommend that guests use Uber or Lyft services for your visit due to the limited availability of services in the local area. If you do choose to use Uber, Lyft or Cab services for your visit please make arrangements ahead of time for your return trip. When you arrive at the North Carolina Zoo, you will see that it has two Park entrances, North America and Africa. Each entrance has its own parking lots and ticket booths. The North America parking lot and entrance is open year-round. The Africa parking lot and entrance is open April-October. From November-March, guests should plan to park and enter through North America. Guests can visit the entire Park from either entrance using one ticket. Please see Park Map. During peak times the Zoo may open additional overflow parking lots to meet demand. After you park your vehicle, please take note of the parking lot number or letter for easy return at the end of your visit. Shuttles are available between parking lots. The road between the North America and Africa parking lots is about one mile. Both entrances are on a level walking surface and have accessible drop-off points for visitors who are mobility impaired. Accessible parking spaces are available with a valid license plate or hangtag. Rental wheelchairs and strollers are available at both Park entrances on a first-come, first-served basis. Both the North America and Africa parking lots offer designated areas for bus parking. In Africa, please park buses in lot 1. In North America, please park buses in either lot "A" or the Solar Pointe parking area. Individual vehicles should not park in the designated bus parking lots. Please park buses before unloading passengers. Bus parking areas in the North America and Africa parking lots are also designated parking areas for RVs. RV parking areas are not equipped for overnight parking or camping. Please park RVs before unloading passengers. 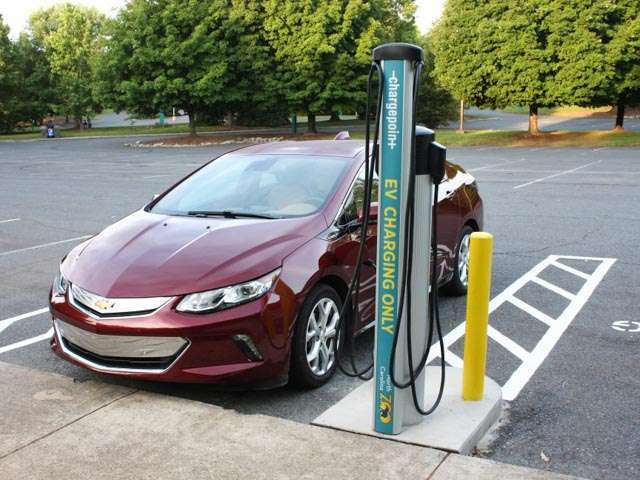 The North Carolina Zoo now offers electric car charging stations at two locations in our North America parking lot. There are four charging stations in front of the Stedman Education Center and four charging stations near the Solar Pointe picnic shelter.